inkFrog's Unlimited and Designer plans offer you the capability to provide staff accounts to employees. Some sellers likely know immediately what to do with this capability, but for other new sellers, the uses are more fuzzy. If you know that you're becoming the limiting factor to the growth of your business, yet you started out as a one-person operation and don't quite know who to hire and set up with an inkFrog staff account, this article is for you. Here are four employees or contractors to consider adding to your business—and to your inkFrog account. 1. A listing and/or fulfillment assistant. A listing and/or assistant is a great first hire or first independent contractor because listing and fulfillment are the two tasks in which sellers most typically bog down and fall behind when they first start to see rapid growth. 2. A channel manager or marketplace specialist. They're there to help you to decide what you should probably sell, know how and where you should list it, and to create and manage the listings and branding of your business—to ensure that your inventory is up for sale effectively at all times. 3. A customer service manager. Depending on the niche in which you sell, you may also find that as you grow, the demands of providing good customer service grow as well. A digital marketing manager is like a techie and a marketing guru rolled in to one—perfect for e-commerce. Customer service is a particular talent. As business grows, it can pay dividends to employ someone or find a contractor to relieve you of these customer communication and interaction tasks—enabling you to focus on inventory, listings, fulfillment, and strategy. 4. A digital marketing manager. 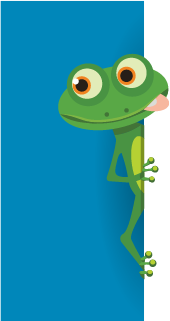 Hire help, set up your inkFrog staff accounts, and put them to work. Don't let initial resistance keep you from finding the help that will enable you to grow. A good digital marketing manager is a bit like a marketer and a techie rolled into one. They have the instincts and skills of a marketer along with the technical chops to operate effortlessly in today's digital, multi-channel, search-and-social-media environment. Give 'em a staff account and put 'em to work. If you're an inkFrog user with an Unlimited or Designer subscription who's growing a bit faster than you can cope with, yet you don't have any staff accounts yet, you may find that one of these people is exactly who you need to continue to grow. So go out, hire them or put them on a part-time contract, get them an inkFrog staff account, and let them log in and start helping to make a difference in your business.